Tens of millions of people are still smoking in America — and running the risk of getting cancer. A new American Cancer Society report calls for a national cancer control strategy with a priority on cutting tobacco use, which accounts for nearly 30 percent of total cancer deaths. “The highest priority in a national cancer control program should be expanding tobaccco control efforts,” the organization said Wednesday in a statement. Nearly 40 million people still smoke in America, according to the report. “There is considerable evidence that tobacco control can prevent more cancer deaths than any other primary prevention strategy,” the organization said. The report was published in CA: A Cancer Journal for Clinicians. Smoking (and secondhand smoke) caused an estimated 19.4% of all cancers diagnosed and 29.6 percent of all cancer deaths in 2014, the report said. 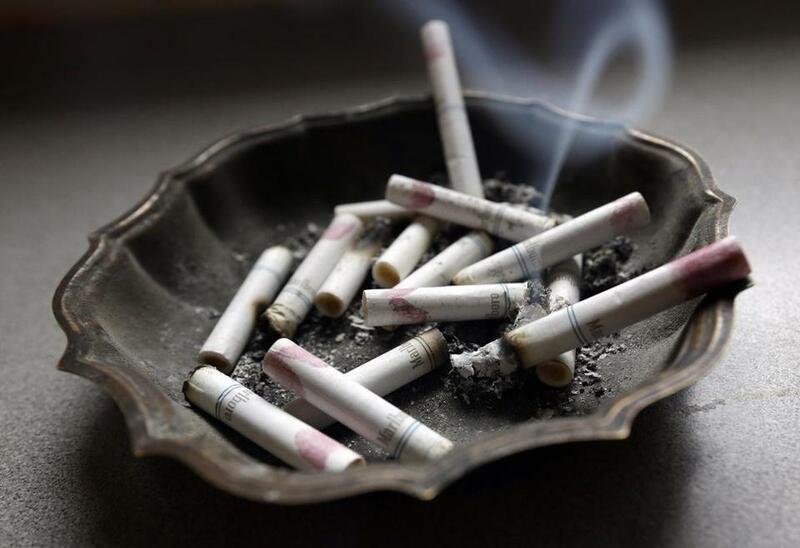 There has been a 26 percent decline in cancer mortality rates in the United States since 1991, and more than half of that decline was due to reductions in smoking, the report said. Over the past half-century, the demographic profile of smokers has changed, the report said. Until the mid-1950s, the prevalance of smoking was “relatively similar” regardless of education and income levels. Now, smoking is more likely among persons with lower educational attainment and lower income. It’s also more likely within vulnerable populations, such as individuals with mental illness or addiction to other substances; within the lesbian, gay, bisexual, transgender community; and within certain racial or ethnic groups, the report said. “Enhanced efforts to reach groups that are more likely to smoke are needed to further reduce the prevalence of tobacco use,” the report said. Susan Gapstur, the organization’s senior vice president of behavioral and epidemiology research, led the report. She said it is one of a series that the organization hopes will serve as the scientific basis for a national cancer control strategy. There is no such national strategy now, she said. The report also looks at a variety of other cancer risk factors, including excess body weight, alcohol consumption, various diseases, and ultraviolet radiation. For each factor, it examines how much cancer it causes and what can be done to change people’s behavior or otherwise reduce their risks.